In my last column, I discussed sitcom's past, and which decade represented the best that sitcoms had to offer. In this column, I'll be taking a look at where I think sitcoms are headed as we head towards the end of the 2010s into a new decade. If we look back at the 2010s as a decade for sitcoms, you'll notice that, with the exception of The Big Bang Theory (which is the decade's most popular sitcom for sure but almost seems at odds with the rest of the most popular sitcoms of the decade), single-camera sitcoms were dominant. The decade was defined by shows like Modern Family and Parks and Recreation - and, when these shows premiered, their single-camera mockumentary format was inventive and fresh. Now, however, we've seen that format become somewhat overplayed and fall in popularity. 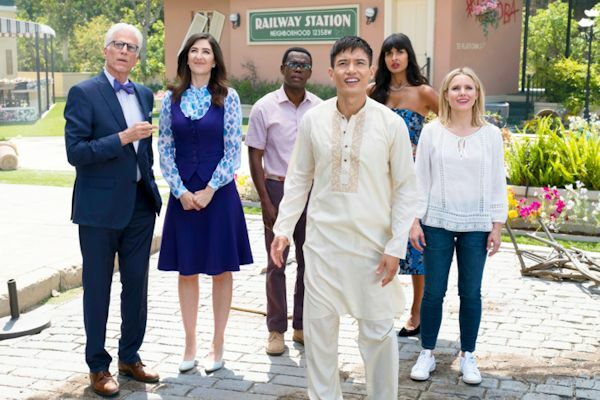 The most popular and acclaimed sitcoms of the current moment are shows like Superstore, Brooklyn Nine-Nine and The Good Place. These shows are still single-camera, but - while being unique for other reasons - are a bit more traditional in their storytelling format. However, these shows all have very unique, well-defined characters and fast-paced humor, so I would expect that to continue in the near future. An interesting question mark is whether multi-camera sitcoms will make a comeback. The format has been slowly dying out, and seems to have hit its lowest point this decade - after single-cams began growing in popularity in the 2000s, the 2010s ramped up their production of them, particularly after shows like The Office and Modern Family became big hits, proving that single-camera sitcoms weren't just a niche trend, but something that could be transported to large audiences. CBS has really struggled to replace its multi-cam massive hit The Big Bang Theory with a similar replacement - most of their attempts to find "the next Big Bang Theory" have either started strong but wound up disappointing (such as 2 Broke Girls), completely misfired altogether (such as Kevin Can Wait). They found some success with the consistently solid performer Mom, but it's never quite been the giant hit CBS likely would want it to be. It's pretty telling that CBS's spin-off of Big Bang is actually a single-cam rather than a multi-cam. However, the revival of Roseanne, even with all of its controversy, may prove to be a turning point in favor of multi-camera sitcoms. Networks are desperate to find a show that appeals to wide audiences as much as the Roseanne reboot did without the political controversy, and considering how many viewers tuned into the multi-camera Roseanne reboot, a multi-camera sitcom could be the trick. Add that to the fact that Netflix's One Day at a Time and NBC's canceled but beloved The Carmichael Show have found a lot of fan and critical love, and the tides may be turning towards multi-camera sitcoms once again. So could the 2020s see a move back towards more traditional sitcoms? It's certainly possible, but I'd say that we should still expect the expiration of the 2000s and 2010s to continue - a balance of both, though, presents an interesting future for the sitcom. REELZ announced its fall 2018 programming slate including new series, new specials, new episodes of returning series and the Stand Up To Cancer fundraising telecast airing for the first time on the network. Of note for us is their Behind Closed Doors specials. Every so often a star leaves an everlasting mark on culture and entertainment creating household names with stories that enthrall the public. 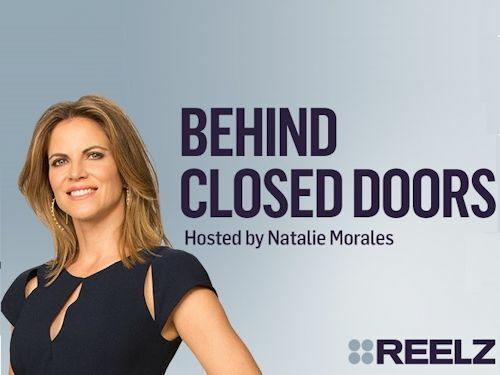 This is especially true with the stories of John Ritter and Paul Walker who are the focus of two new Behind Closed Doors specials hosted by Natalie Morales. Rounding out the new specials is Casey Anthony showing viewers her shocking tale as told through unprecedented access to Anthony's inner circle and the law enforcement officials who worked the case. Behind Closed Doors (New John Ritter episode premieres Saturday, September 8 at 9pm ET/ 6pm PT)- Behind Closed Doors original documentary specials hosted by Natalie Morales return with new episodes about the life and legacy of Three's Company star John Ritter and an intimate look at The Fast and the Furious star Paul Walker's life cut short by tragedy. Behind Closed Doors examines the lives of beloved celebrities utilizing the vast offerings of NBC News historical archives including rarely seen footage and revealing interviews with the celebrities themselves along with fresh interviews from those who knew or worked with them. Behind Closed Doors specials are produced by NBC News' Peacock Productions. John Ritter: Behind Closed Doors premieres Saturday, September 8 at 9pm ET/ 6pm PT. As Jack Tripper on Three's Company, John Ritter established himself as one of the most gifted comedians of a generation, launching a prolific career in television and movies that would make him one of America's most beloved stars. But for a man so brilliant in comedy it was the tragedy of an undiagnosed aortic aneurysm that would cut his life short at just 54 years old. Through personal stories told by his closest friends and co-stars including Suzanne Somers, Joyce DeWitt, Henry Winkler, Peter Bogdanovich, Jimmy Kimmel and Kaley Cuoco, John Ritter: Behind Closed Doors reveals the generous spirit behind Ritter's undeniable talent, his legacy of laughter and his family's determination to save lives by raising awareness of the condition that caused his death. Paul Walker: Behind Closed Doors premieres Sunday, November 25 at 9pm ET/ 6pm PT. The Casey Anthony new documentary special premieres Sunday, December 9 at 9pm ET/ 6pm PT.